02. 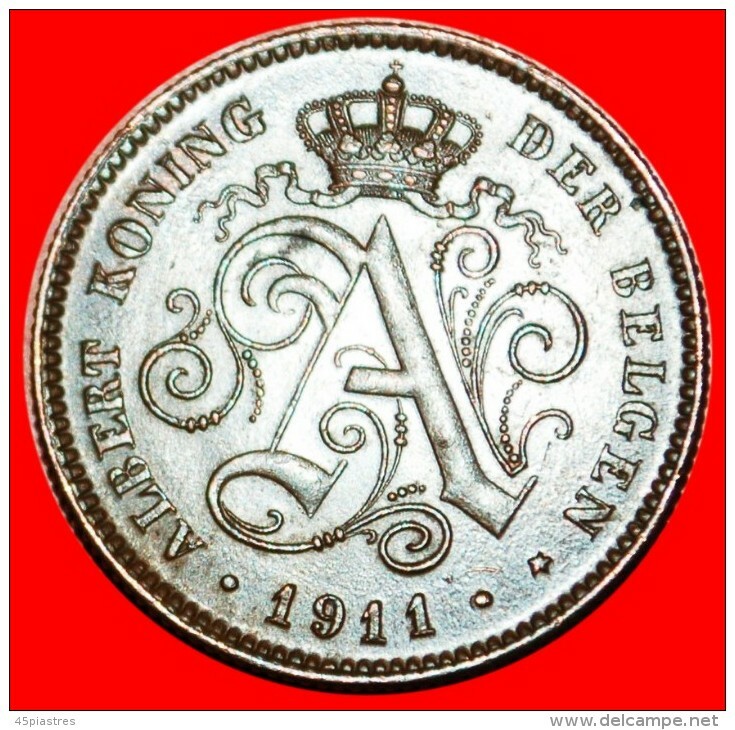 2 Centimes - ★DUTCH LEGEND~LARGE DATE: BELGIUM ★2 CENTIMES 1911! ALBERT I (1909-1934) LOW START ★ NO RESERVE! 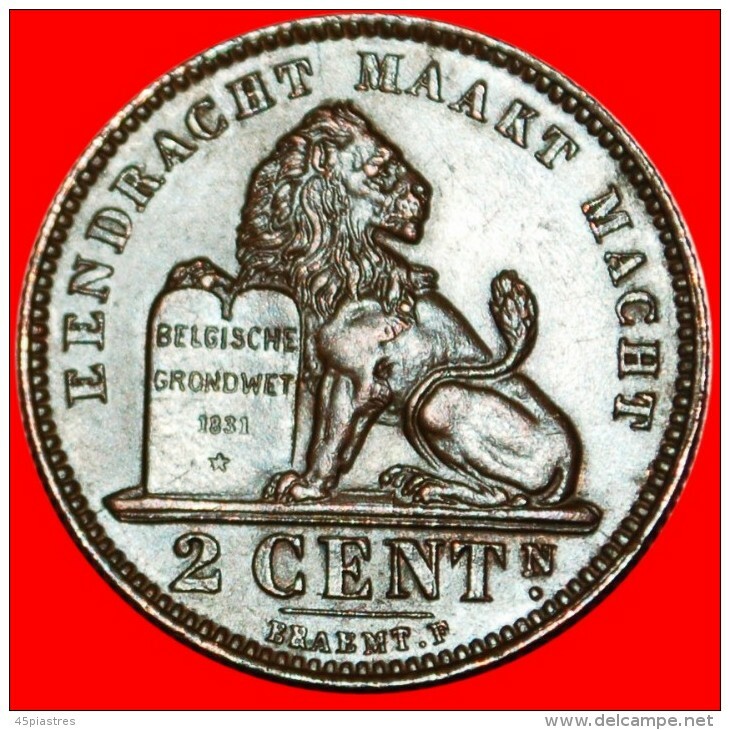 Interesting type of Albert I (1909-1934) with a lion, symbol of Belgium, with a paw over the Belgian Constitution dating 1831 "CONSTITUTION BELGE 1831 ★"